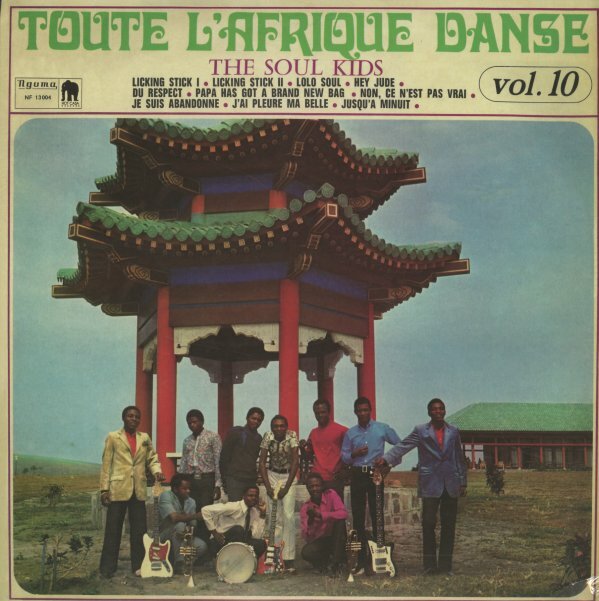 Definitely the kind of record that could make all of Africa dance (as promised by the title) – because The Soul Kids are strongly influenced by the James Brown Band of the late 60s, and work here in a fantastic funky array of riffing guitars, sweet organ lines, heavy drums, and mighty tight horns! The set begins with a great cover of a James Brown tune, then rolls through echoes of Memphis, Muscle Shoals, and other American soul references – all served up with this sharp, stark style that feels a lot more like a set of rare funky 45s than the usual African albums from the time. Titles include "J'Ai Pleure Ma Belle", "Lolo Soul", "Licking Stick (parts 1 & 2)", "Papa Has Got A Brand New Bag", "Du Respect", "Non Ce N'Est Pas Vrai", "Jusqua'A Minuit", and "Je Suis Abandonne". © 1996-2019, Dusty Groove, Inc.